A rather small but very well-known village north of Santa Eulalia, meeting point for hippies and home to a surprisingly rich cultural scene. 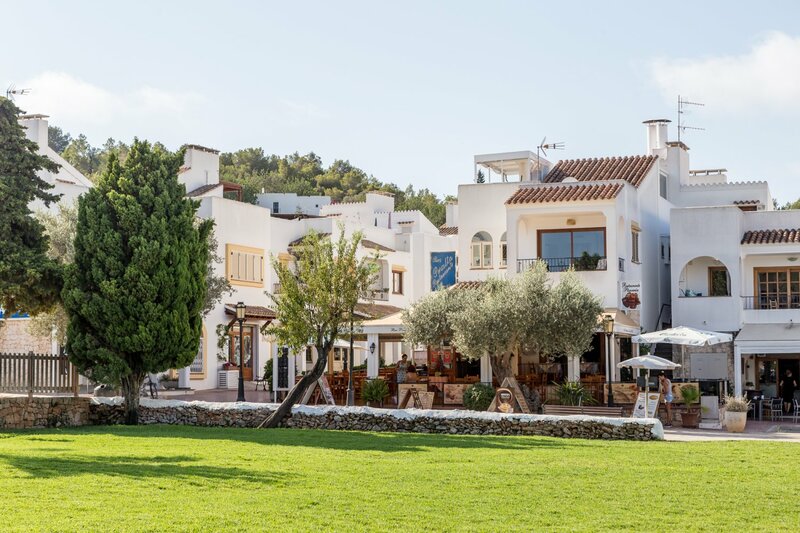 San Carlos (Sant Carles in Catalan) became famous as a hippy village in the 60s and 70s as many of those long-haired peace-lovers settled in the beautiful surroundings of this northern Ibiza village. They often lived in old farmhouses, known as ‘fincas', often without electricity or even running water! Today, you'll still find them there - the real hippies. For them, being a ‘hippy' is a lifestyle, not just a fashion. Here, many prefer to live without modern comforts, with as little money - and work - as possible and with a true, communal spirit. Traditionally, the hippy community would gather in Anita's Bar - because they had the only phone in the village! Even today you can visit the original phone booth in the bar - and use it - it's still very much functional. There is a sense of time standing still in San Carlos. For example, old mailboxes made ​​of wood cover an entire wall in Anita's Bar, because even today, there is no postal delivery service to every house in the stunning San Carlos countryside. So many people still pick up their post at Anita's Bar - and take the opportunity for a leisurely chat accompanied by a cool hierbas on ice. Today's new hippy generation also congregate in Las Dalias, located about 1 km before San Carlos (coming from Santa Eulalia). It's here you'll find one of the most original hippy markets with its hundreds of brightly coloured stalls and larger than life characters. Every Saturday from 10am until late in the evening, all year round, the sellers build up their stalls on the ivy-covered terraces and courtyards, whilst during the summer, you can also catch the market each Monday night. Meanwhile, Las Dalias is not only known for the hippy market. Throughout the week, a variety of events take place: Wednesday evenings are for trance music lovers, with Namaste providing live music, DJs and some great performances. Look out for Nightmares on Wax's party, Wax da Jam taking place on selected Thursdays during summer too. You will find the current programme of Las Dalias widely advertised all over the island - look out for posters and flyers. And during winter, the island meets here for the Christmas market - there's even mulled wine! The Las Dalias restaurant has a rustic interior in the basement, with white plaster walls where old farm tools hang, and a romantic garden terrace - and there also is a rooftop bar! The local Fiesta of San Carlos is celebrated in the weeks around the Patron's Saint Day on the 4th of November. San Carlos is also the junction where all the roads meet, that later branch off to many other gorgeous east coast beaches such as Cala Leña, Cala Nova, Aguas Blancas and Cala San Vicente.